The acclaimed, groundbreaking series from creators Denis Leary and Peter Tolan comes to an unforgettable end in this remarkable set, combining both the tumultuous Sixth Season and The Final Season. As troubled NYPD firefighter Tommy Gavin (Denis Leary) confronts his personal need for rescue and redemption, the crew of 62 Truck wages their own climactic struggle to survive and persevere -- both on the front lines and in their private lives. Embraced by critics and viewers alike for searing, true-to-life performances and unflinching storytelling, Rescue Me closes out its astonishing run with the most compelling seasons of the series. CULVER CITY, CALIF. (August 8, 2011) - Viewers of Rescue Me, one of television's most intense and affecting shows, will witness the end of an era when the hit series comes to its tumultuous conclusion in early September on FX. Shortly after, on September 13, Sony Pictures Home Entertainment will offer the final two seasons as The Complete Sixth Season and The Final Season on DVD in a five-disc set ($45.99 SRP) which includes all 19 episodes and special features including four featurettes, deleted scenes and a gag reel. 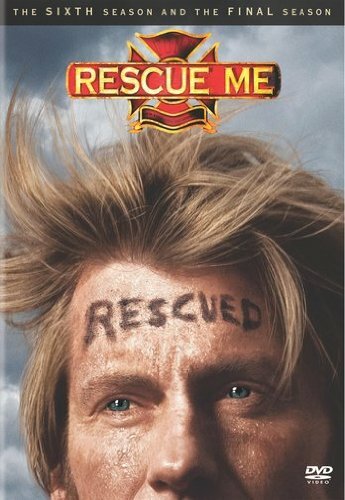 Starring Denis Leary as veteran firefighter Tommy Gavin, along with an outstanding ensemble, Rescue Me follows the professional and personal lives of a group of New York City firefighters as they struggle to deal with real life issues following the tragic attacks of September 11, 2001. Rescue Me: The Sixth Season and The Final Season DVD set will be available for $45.99 SRP. Leary created Rescue Me with two-time EmmyaAward-winning writer-producer Peter Tolan (TV's The Larry Sanders Show, Murphy Brown); and both serve as executive producers along with Jim Serpico. The show has been on air since July 2004 and also stars Adam Ferrara, Michael Lombardi, Steven Pasquale, Andrea Roth, John Scurti, Daniel Sunjata, Larenz Tate and Callie Thorne. Rescue Me: The Complete Sixth Season and The Final Season has a run time of approximately 800 minutes and is not rated. Emmy(R) is a registered trademark of ATAS/NATAS.